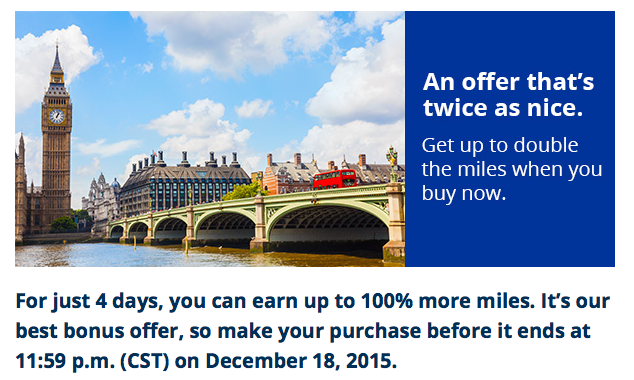 United has launched a ‘flash sale’ for buying MileagePlus miles. This is a great deal if you buy 30,000 or more miles as you’ll get a 100% bonus which is the highest we’ve seen from United. Most times before this the offer maxed out at 80%. With the 100% bonus the price of each mile drops below 2 cents making this offer much more worthwhile than before (1.75 cents before taxes and fees). If you find a redemption with a value of 2 cents or higher you are ahead of the game!